I’ve been looking for somewhere cheap and hot to head to after a week of glorious cloud-free skies in Seville and Granada left me desperate to escape the ridiculousness that it the British summertime. Sheffield has managed about 4 rain-free days this year, and after considering Italy (far too expensive and heaving with tourists in July) and Montenegro (nightmare time spent trying to find suitable flights) my boyfriend suggested I think about Portugal. He’d spent a lot of time there and recommended the laid back lifestyle, brilliant beaches and wonderful food. I had a research session and realised that firstly, Portugal looks incredibly beautiful, secondly, that it’ll be a a snazzy 30 degrees plus, and thirdly, that by European standards it’s a total bargain. And did I mention there’s trams? I love trams. 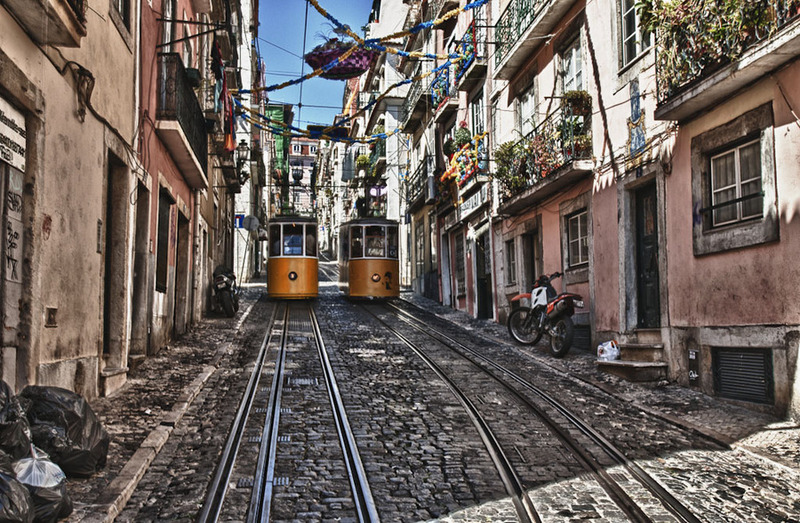 Adventurous Kate’s stunning pictures on her Lisbon post made me realise that I really, really did actually want to go to Portugal, and I want to go now. A cheap Ryanair flight later and I’m heading to Lisbon! I was intending to head to Bruges first, but it looks like my Belgium jaunt is going to be postponed until some point in September. As sad as I am to not be heading to the land of chocolate and frites yet, the allure of sunshine and beaches won out. I’m flying out in just over a week’s time, so some hectic organising is taking place. I’ll be spending three nights in the Portugese capital, including a day trip to the gorgeous looking Sintra, before heading down to Lagos for some beach time. Have any of you been to Portugal? What did you think of it? Leave your recommendations below. A good choice, you’ll love it. If you need to get out of the city, get the local train to Cascais or Estoril just outside – gorgeous beaches and nice sardine restaurants.